You know I'm a big fan of "I Heart Faces" and love to participate in their weekly photo challenge. I also love when people do things that are bigger than themselves; for the greater good. It just so happens that this week at iheartfaces, they are teaming up with an organization with a passion for the greater good. It's called Soles 4 Souls. So, this weeks theme at I Heart Faces is obviously....feet. I instantly thought of a recent photo I took of a friend's daughter. 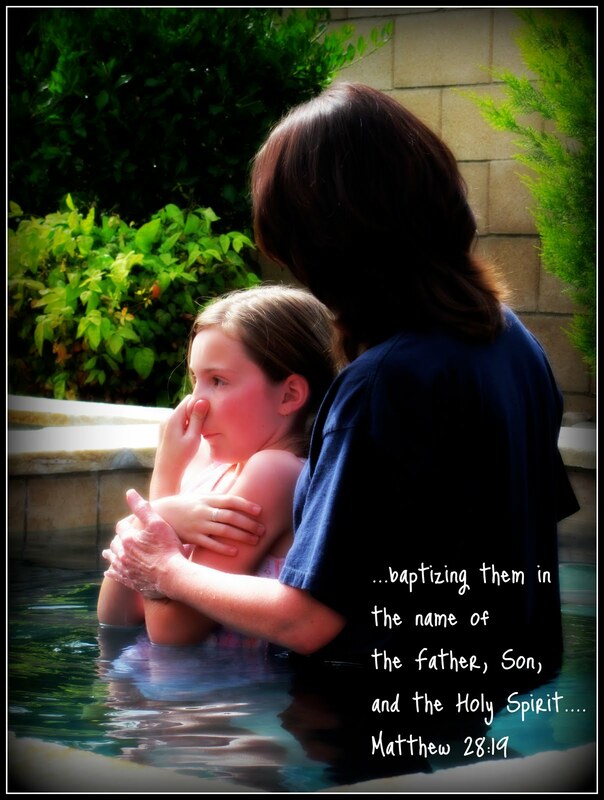 She was baptized at our church and my friend asked me to photograph the event for her. I got plenty of great shots of the actual baptism, but I loved the shot I got of her feet after she got out of the water. She was dripping wet and I just thought of the verse "How beautiful are the feet of them.." so I added it to the bottom. And because there are no restrictions on number of photos this week, I thought I would show you a picture of her actual baptism. Such a beautiful day for a beautiful girl. Soles4Souls is a Nashville-based charity that collects shoes from the warehouses of footwear companies and the closets of people like you. The charity distributes these shoes free of charge to people in need, regardless of race, religion, class, or any other criteria. Since 2005, Soles4Souls has given away over 7 million pairs of new and gently worn shoes (currently donating one pair every 9 seconds.) The shoes have been distributed to people in over 125 countries, including Kenya, Thailand, Nepal and the United States. Soles4Souls has been featured in Runner's World, Ladies’ Home Journal, National Geographic’s Green Guide, and The New York Times. It has appeared on CBS, ABC, NBC, FOX, BBC, CNN and thousands of regional news outlets across North America. Beautiful!! Love the verses you put with them!! LOOOVE that you have verses with them! So awesome on her baptism too!! Wow, I love this one...very important moment in life! Beautiful! The verses are perfect! What a great shot! I'm sure it's one they will treasure forever. These are beautiful! What an amazing occasion to capture! Wonderful photos and I love the verses and font you choose to go with them! What font is that by the way? I really like your feet photo! Excellent work!